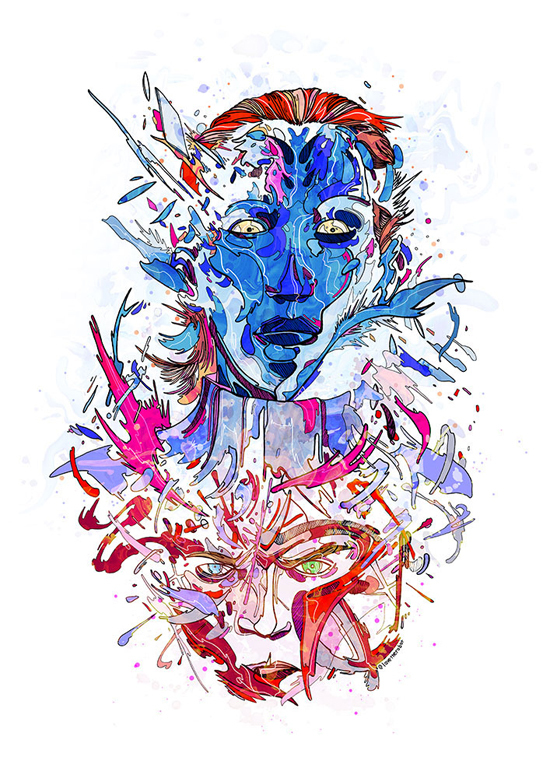 Today we are featuring remarkable artist “Phillip Dunne“, with his colorful illustration drawing artwork collection for inspiration. He was born in Dublin, Ireland. 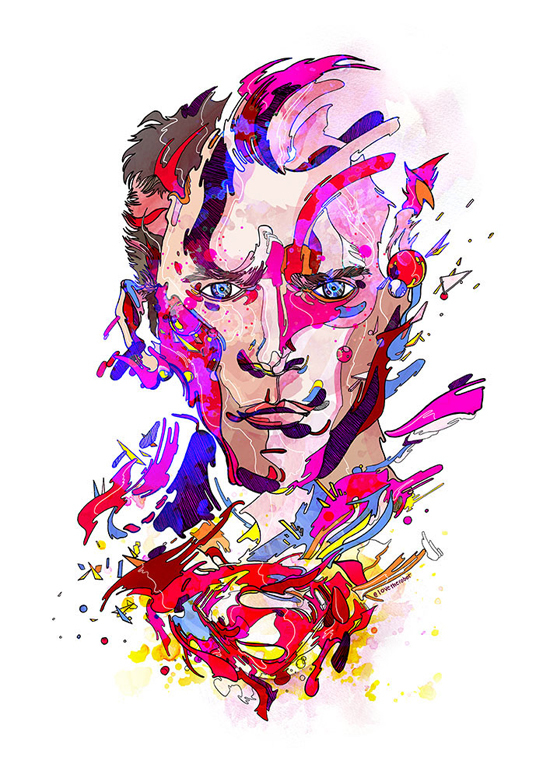 For the past few years, he’s been working as an artist on a variety of commercial, personal and published art projects. 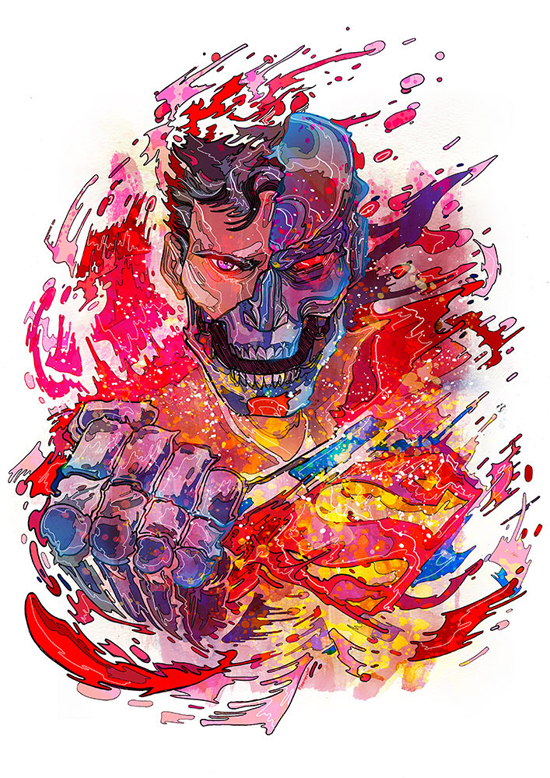 His distinctive style of colorful, intricate work is a combination of traditional and digital mediums such as pencil, pen, watercolor, ink and digital coloring and rendering using computer applications. 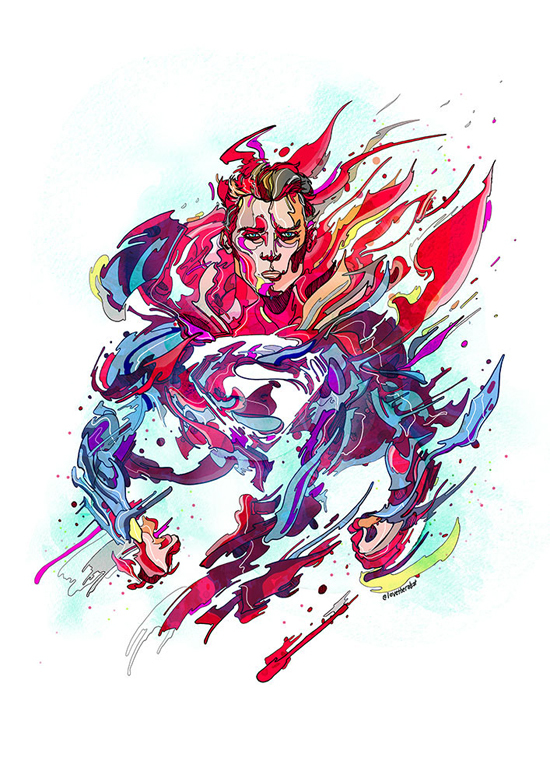 His creative expertise are illustration, digital art, design, print, typography and fine art. 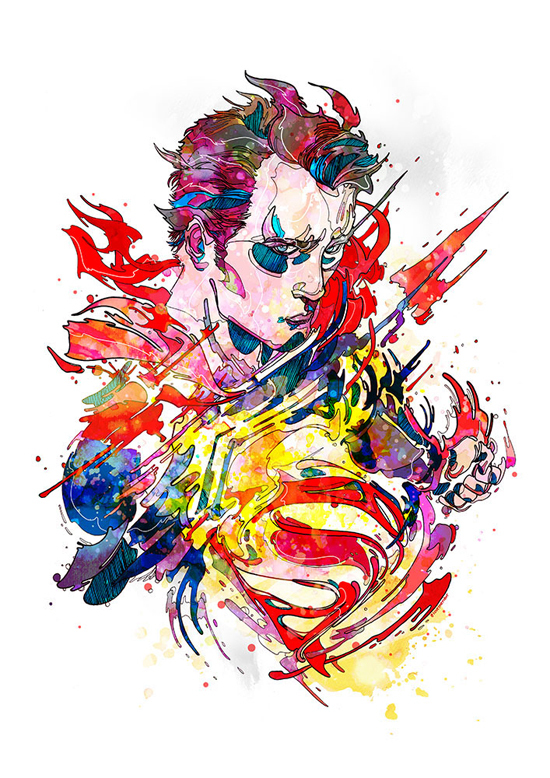 In this posts, we will showcase his creative colorful illustrations for inspiration. 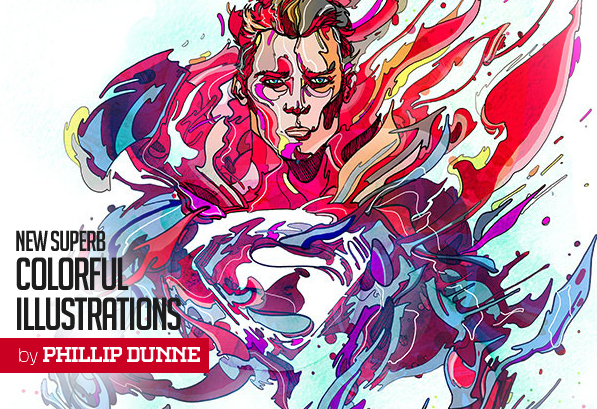 You can catch Phil Dunne on behance.net/lovetherobot. 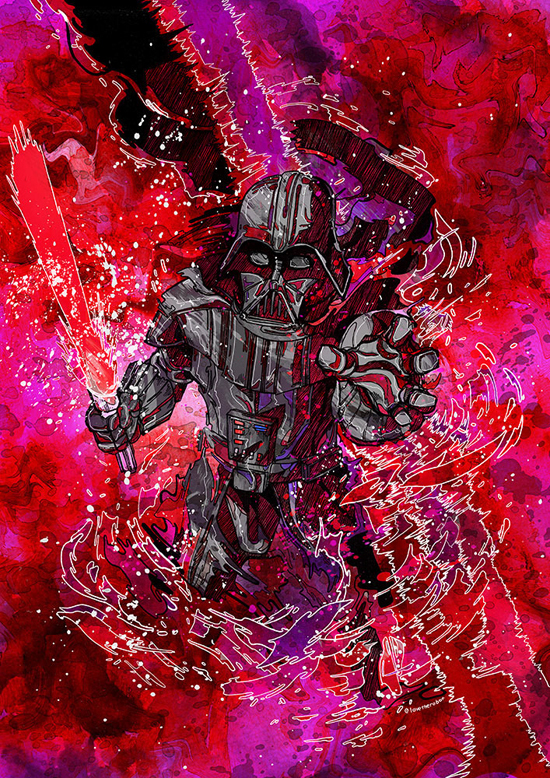 “I Am The Master” – based on Darth Vader from Star Wars. 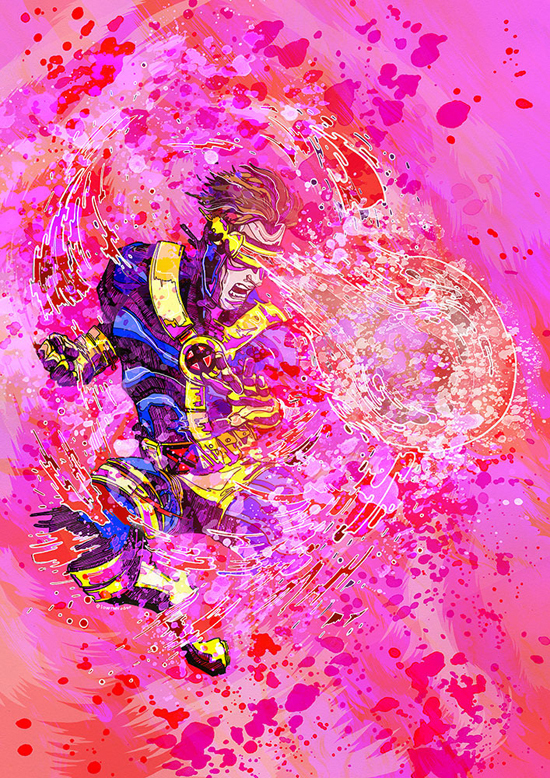 “Optic Blast” – based on the 1990s look and design of the mutant hero Cyclops from the X-Men comics and animated series. 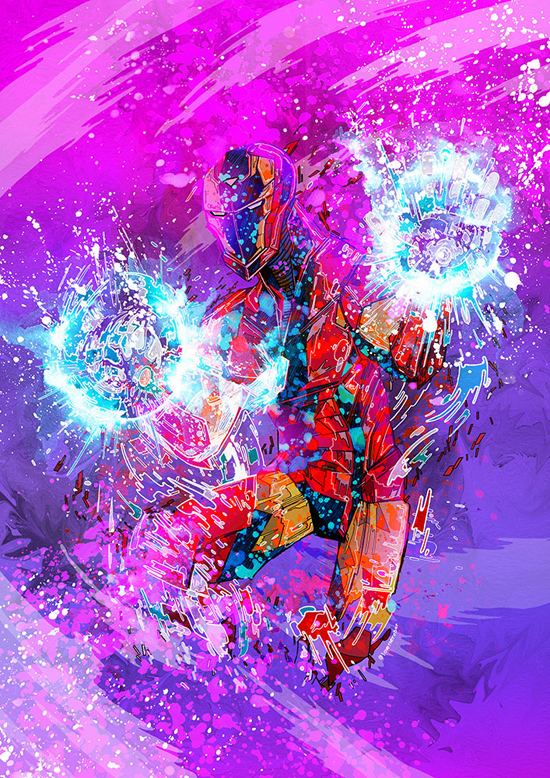 “Invincible” – based on Marvel Comics’ Iron Man and his look from the 2015 comic book series. 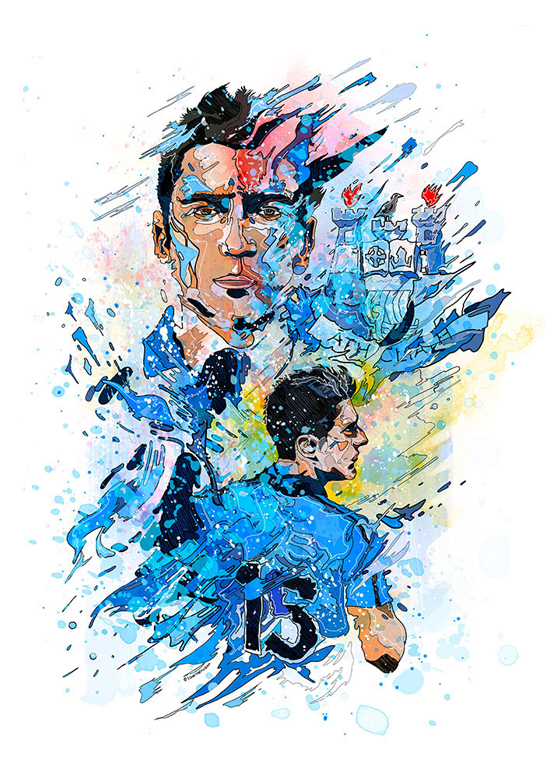 “Boys In Blue 1” – based upon the Dublin Senior Gaelic footballer Bernard Brogan. 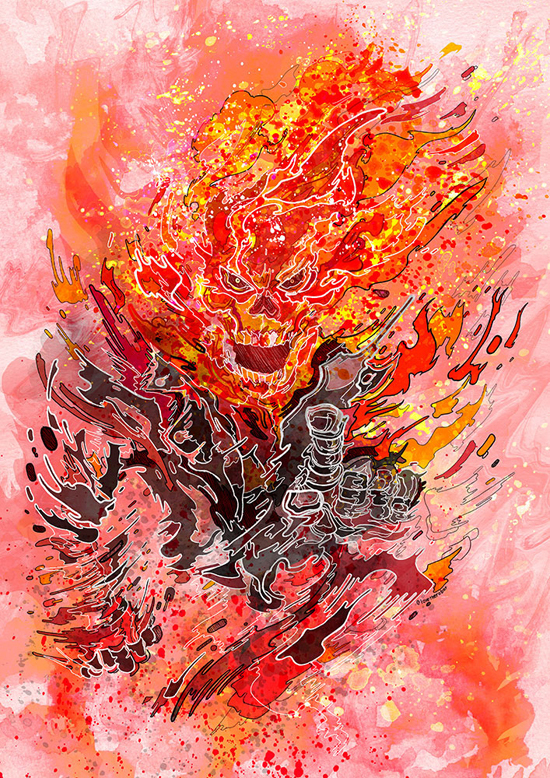 “Vengeance” – an illustration to celebrate the arrival of Ghost Rider to the Marvel Cinematic Universe. 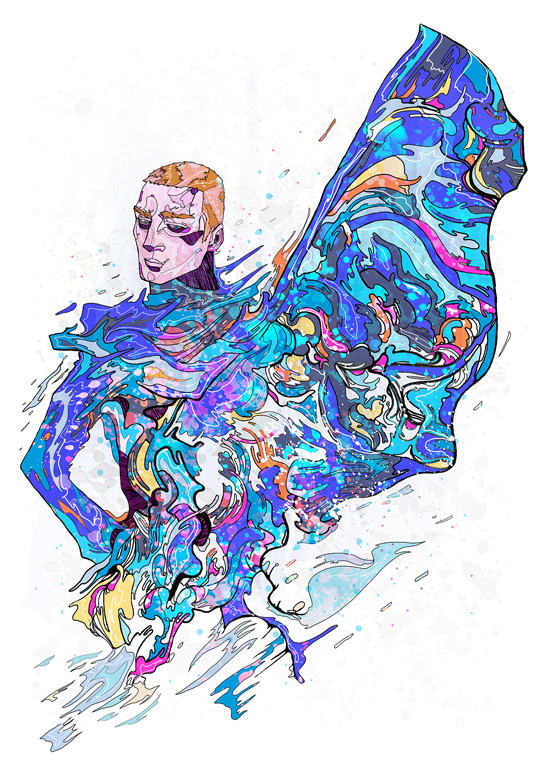 “onfleek” – being bold and being unique – embracing a personal style and aesthetic and fearlessly presenting it to the world. 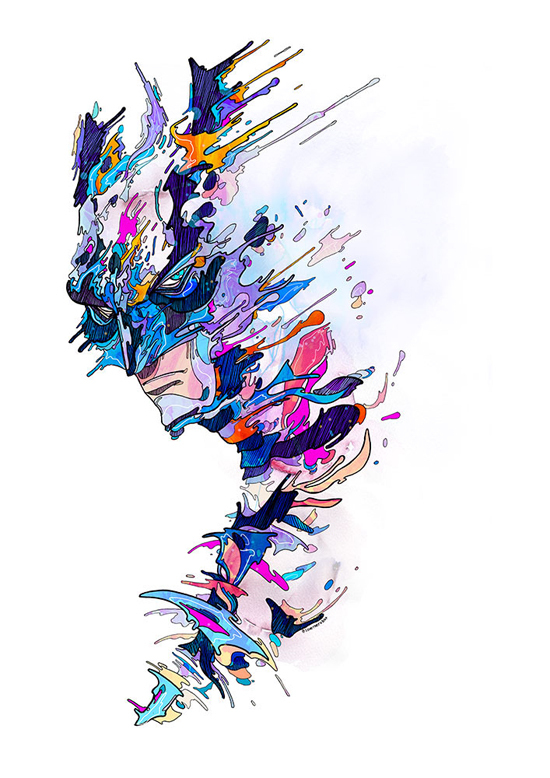 “Knight Three Blue” – A colourful take on the Dark Knight, Batman. 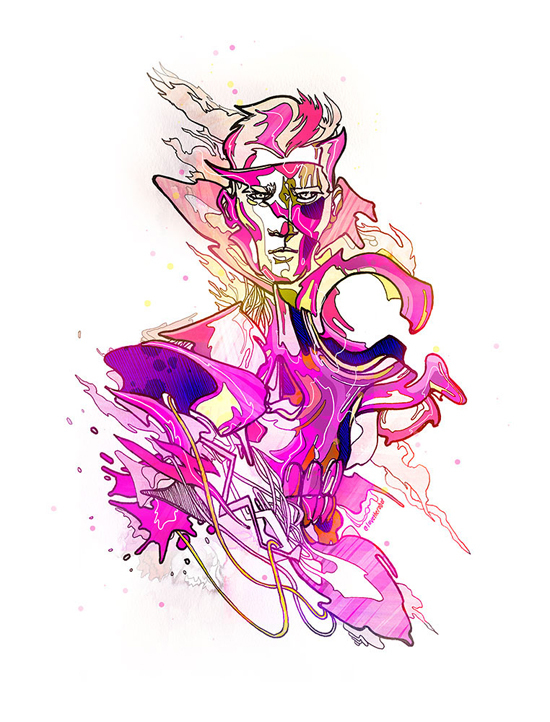 Third in a series of three. 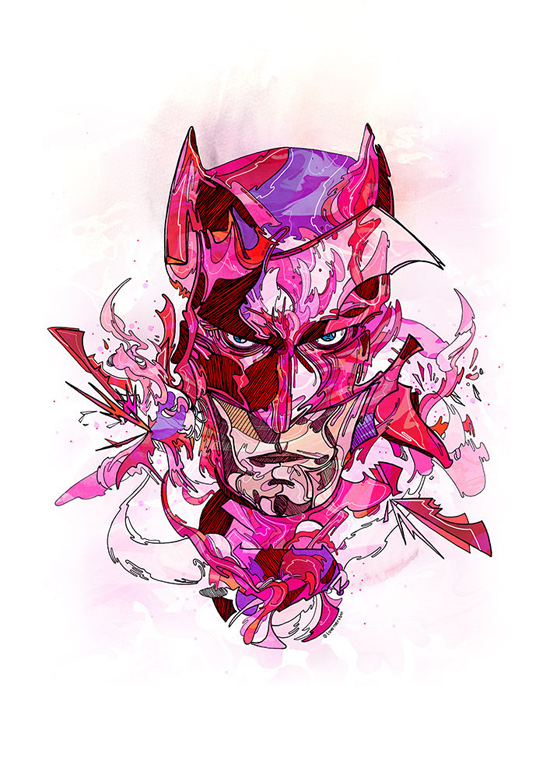 “Knight One Red” – A colourful take on the Dark Knight, Batman. First in a series of three. 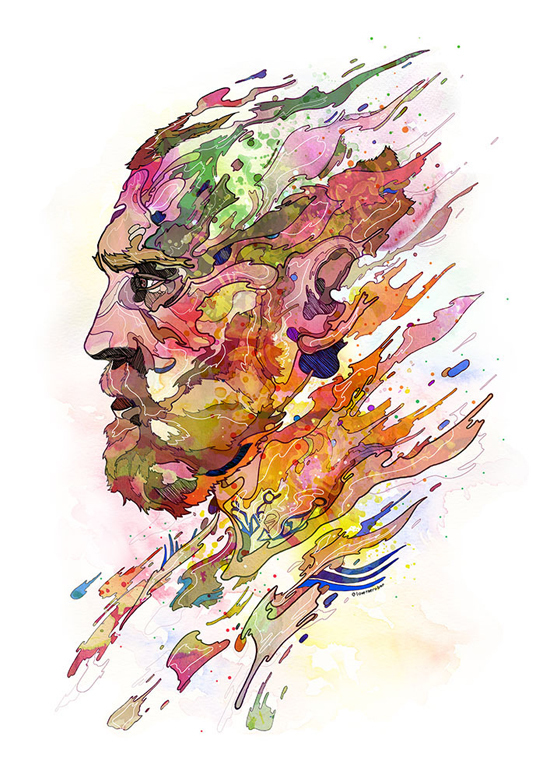 “Defiant” – Illustration inspired by the great Irishman and MMA fighter, Conor McGregor. 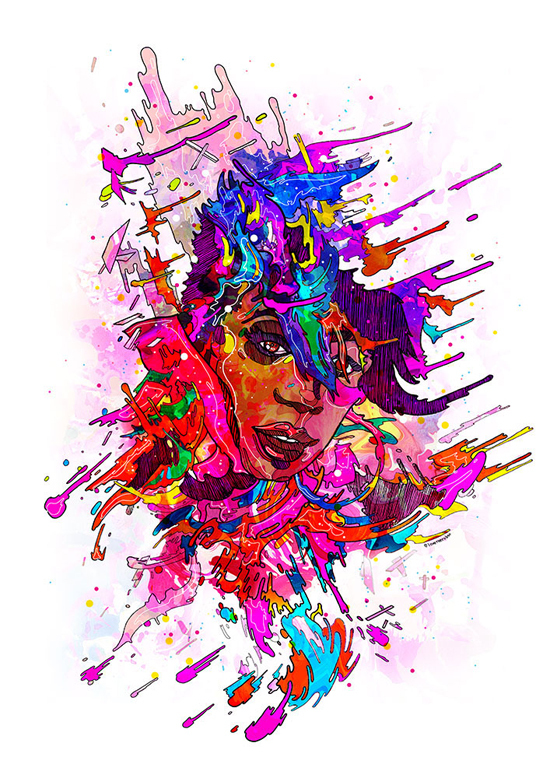 “MISS E” – An illustrated tribute to the incredible Missy Elliott. 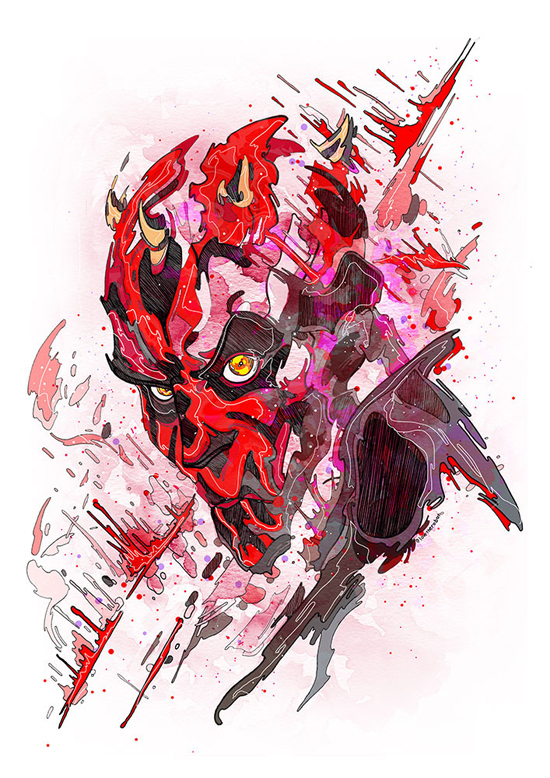 “Maul” – Illustration based Darth Maul from Star Wars Episode 1: The Phantom Menace. 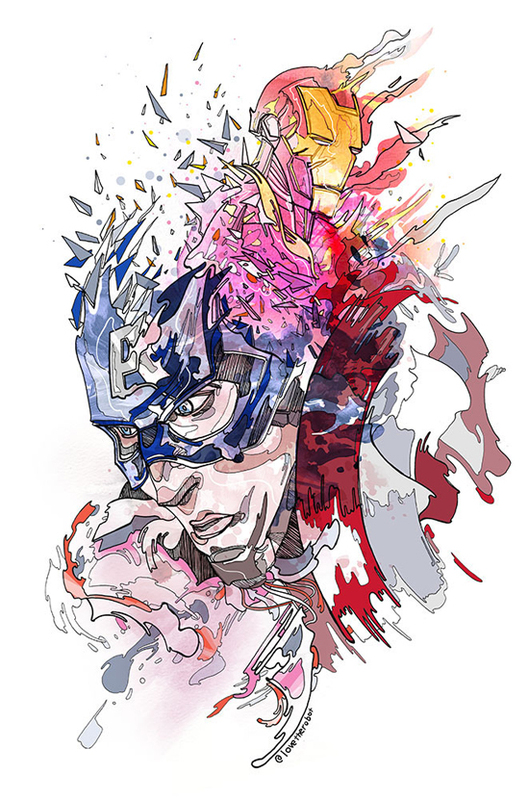 “Divided We Fall” – Based upon the movie ‘Captain America: Civil War’ released in March 2016. 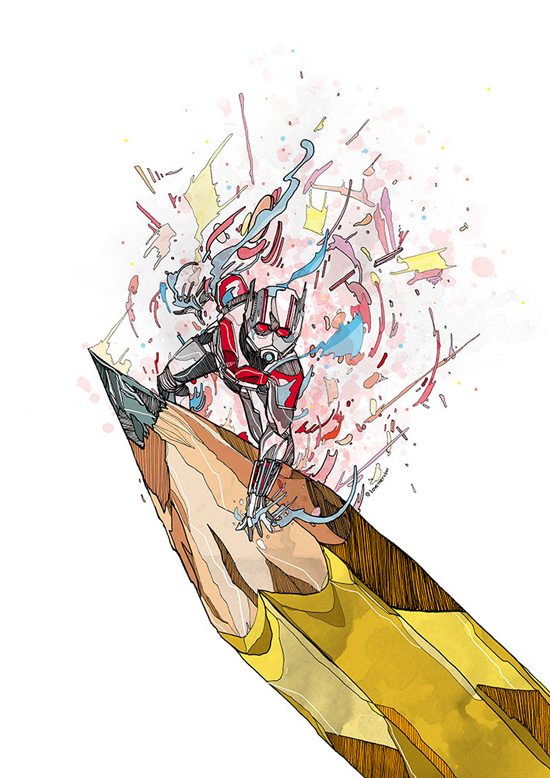 “Tiny Titan” – Based upon the movie ‘Ant Man’ released in July 2015. 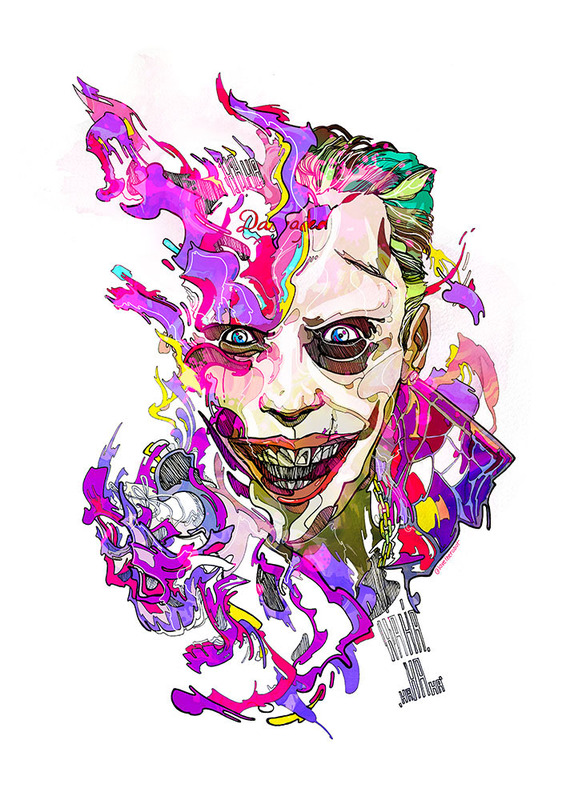 “Really Really Bad” – Based The Joker from the movie ‘Suicide Squad’ released in August 2016.